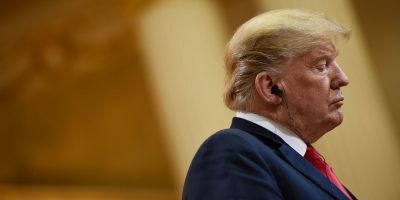 It?s possible that some intelligence officials at the CIA and NSA know what President Trump and Russian President Vladimir Putin discussed in their one-one-one meeting in Helsinki, thanks to the existence of a highly classified intelligence service that taps adversaries’ communications, reports Politico?s Josh Meyer. Why it matters: Sources told Meyer that the service, known as the Special Collection Service or ?STATEROOM,? likely picked up Russia’s readout of the conversation as well as top Kremlin officials’ analysis on the meeting. This puts the U.S. intelligence community at less of a disadvantage than public statements may have initially sugessted. Trump’s Director of National Intelligence, Dan Coats, has said he has had limited visibility into what was discussed. And the White House has been on the defensive about the substance of the conversation, including over a referendum in Ukraine and whether the U.S. would allow Russians to question a former U.S. Ambassador. Meanwhile, some lawmakers have been so concerned about what happened behind closed doors that they have called on Trump’s translator, Marina Gross, to testify before Congress. Be smart: Given this top-secret service specializes in tapping into adversaries’ communications, U.S. intel agencies may only know the Russian side of the story. The service is also unlikely to provide a word-for-word understanding of the meeting, Meyer writes.